Experiential gifts are all the rage. 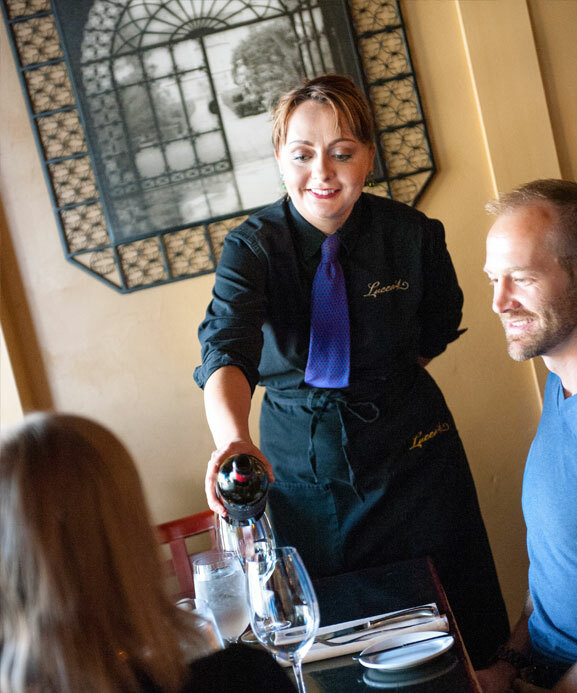 What better gift than an elegant and relaxed dining experience at Lucca’s. Our gift certificates, never go out of style, always fit and work for both men and women. The perfect gift for anyone. Securely purchase below, or gift certificates are also available anytime that front-of-the-house staff are available. Usually, that means anytime Wednesday through Sunday from 3 p.m. until close. We are able to take your payment information via phone and mail the gift certificates to you or the recipient. Please tell us about your gift(s) using the form below. When you are finished, click the "Buy Now" button and you will be redirected to PayPal for more information including quantity and payment.